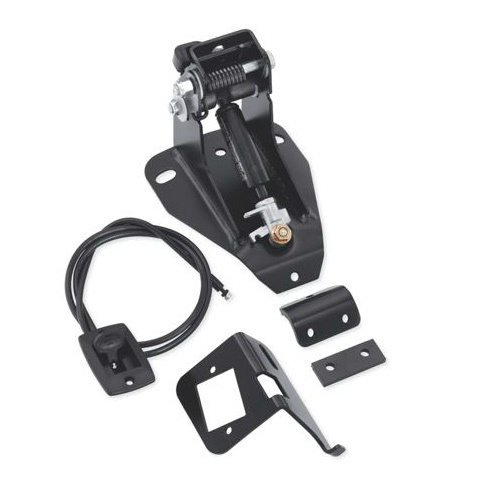 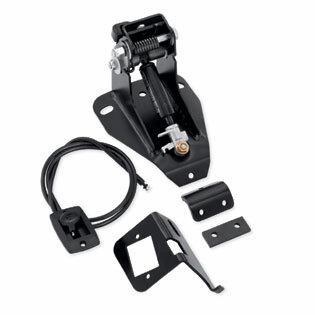 Kit includes mounting bracket, adjustment handle, and all required installation hardware. 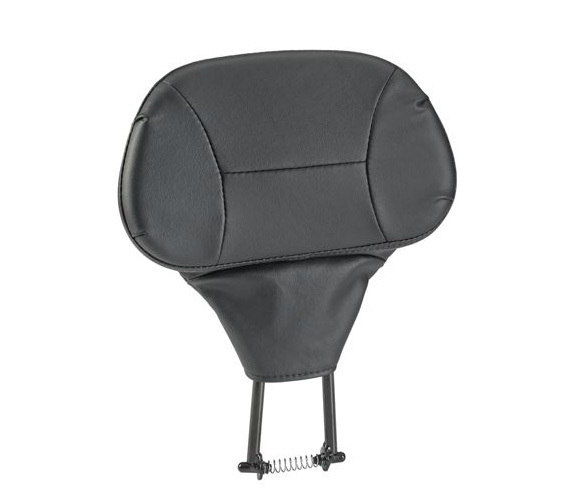 Pull knob in the center of backrest pad to adjust vertically to five different heights. 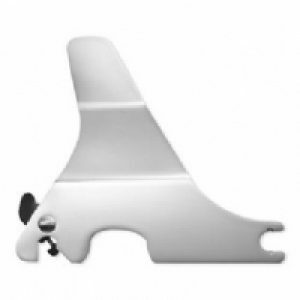 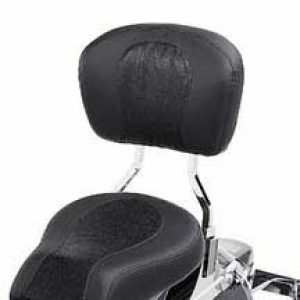 Push tab on side of frame to adjust angle of backrest pad 30° forward or backward. 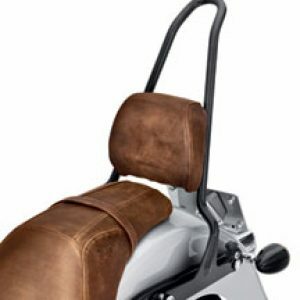 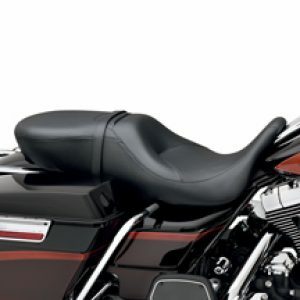 Required to install Adjustable Rider Backrest on ’97-’08 Touring models.